When it comes to buying a new car from a dealership near Kenner, LA, it’s about so much more than just walking into a dealership and picking out something you love. You’re going to need to have some time and patience while you figure out what you need. There are several factors you’ll want to think about while you are looking for the right Mitsubishi Outlander for sale. When you take these considerations seriously, you will be putting yourself in a position where it’s easier for you to get a price and a vehicle that you’ll love for years to come. Check out the following tips. It’s extremely important that you have a good grasp on your money situation before you start shopping for a Mitsubishi Outlander for sale. You don’t want to spend more money than you really should, especially when you take your budget into consideration. How much money can you really afford to spend? Take a close look at your finances, including how much you have in the bank and how much you bring in on a monthly basis. You’ll want to check your credit score as well. This information can help you make a better decision about how much money you can afford to dole out for your next ride. Next, you’ll want to think about what you really need from your vehicle as you drive in and around Kenner, LA, on a daily basis. Do you need something that you can drive your kids and their friends around in? Would you rather have something that looks sporty and exciting? How do you feel about having the latest in technology and safety features? These are all extremely important factors to consider. Once you have thought about what you need, it’s time to find a dealership that has a Mitsubishi Outlander for sale. But you don’t want to shop at an average dealership. Try to find one that has amazing online reviews and that has a reputation for making sure its customers are happy when they drive off the lot. 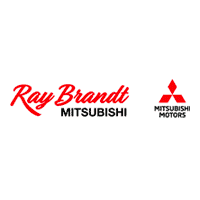 When you are ready to start shopping for that ideal Mitsubishi Outlander for sale, you’ll want to come see us here at Ray Brandt Mitsubishi. We’ll get you into the ideal vehicle for all of your needs in no time.